The commercial property will serve as the regional operations hub of one of the fastest emerging national company in the FMCG sector. 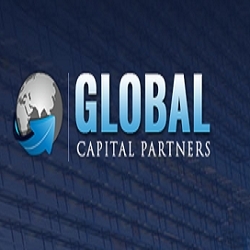 New York, NY, April 16, 2019 --(PR.com)-- Global Capital Partner Fund, the NY-based commercial lender, announced today that it has closed a loan deal to help a client in the FMCG industry finance the purchase of a multi-storey building in Washington DC, which would serve as their regional office. The deal was exclusively negotiated by the company president, Joe Malvasio. GCP Fund provides a range of hard money loans and financing solutions to businesses, developers and real estate investors countrywide. The company has financed many acquisitions over the years, providing clients with convenient and timely access to funds.This latest loan deal is another notable addition to its expansive body of work. “At GCP Fund, we have always supported clients in accomplishing their business and investment goals, no matter how varied they are. From hotel acquisitions to fix and flip purchases to commercial adaptive reuse projects, we have financed everything. It’s this diversity and our friendly customer service, that has endeared us to those who dream big and pursue the impossible,” concluded the President. Joe Malvasio has handled negotiations for several closings at GCP Fund. His expertise is highly regarded by industry professionals and clients alike.